This week we were visited by friends from away and wanted to take them to a place that would give them a taste – literally and figuratively – of what Portland was all about. We had already cooked them a Maine seafood dinner which was purchased fresh on Commercial Street. Now it was time to switch it up a bit and show them the variety that Portland offers. After considering a number of options for the out-of-towners, we happened upon Zapoteca as a start to our evening. It wasn’t an obvious choice for us. We had been there before, shortly after they first opened. The drinks had been excellent but the food was entirely underwhelming. We toyed with the idea of giving them another chance, but never got around to it. We had heard so many good reviews of the place recently though that we realized we might be missing out on a restaurant that could provide a much improved experience. One interesting aspect of the restaurant is that they offer free valet parking. That’s a pretty good deal particularly if there’s an event at the civic center which tends to cause parking to be at a premium in the Old Port. We were early enough that we were able to find a spot without any trouble though. On our walk to the entrance, we did see a valet working hard as he ran to either pick up or return a vehicle. Upon entering, the restaurant was moderately busy. We had reservations and only had to wait a couple of minutes to be seated. We were directed to a six-top, but there were only four of us. I actually liked that as it gave us some room to spread out. Menus were provided as we were seated so we didn’t have to wait to start perusing the fare. A waitress visited us promptly and provided water for the table. A few minutes later she returned and gave us the drink specials and also noted that the menu had recently changed. That was a good sign. Zapoteca has a great selection of tequila, from the reasonably priced to the exorbitant for those looking to party like it’s a Mexican holiday. They also have an extensive selection of cocktails made with local liquors. We all decided to order different drinks. I had a local cocktail – the Balsy Berry – with Maine Twenty 2 Vodka, strawberries, agave, and Balsamic. The other drinks included La Rumba – a delicious take on a mojito, a classic Marguarita, and a special with gin and blueberries. As we expected, all the drinks were outstanding. Now we had to decide on some food. 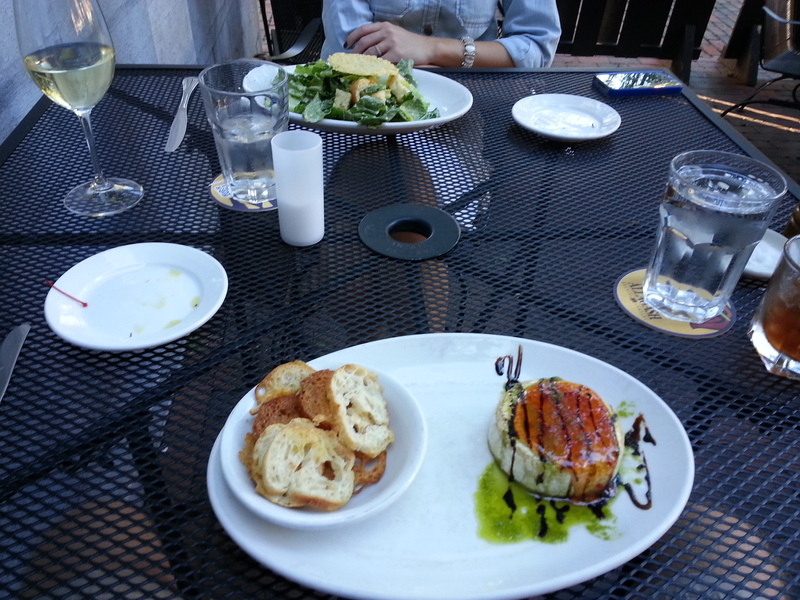 We were there primarily for a drink and starters as we intended to go somewhere else for our main course. I noticed the menu had all its food categories titled in Spanish which makes sense, but it’s a bit confusing if you don’t know the language. The menu started simple enough with two version of guacamole, both the standard and a Chipotle Agave Bacon offering. Next came salsa selections, ceviche, salads, traditional specialties, and everything else. I was immediately drawn to the salsas. For varying prices, you can try one, three, or all seven salsas with chips. To share with the table, we decided on the Nine Chili, Cashew Smoked Jalapeno, and Roja. My wife went with the Enchiladas Suizas De Apollo – wood oven roasted chicken enchiladas with all the fixins. Our friends decided on the Queso Fundido Con Championes – wood roasted Jack cheese with mushrooms and dark beer served with grilled white corn tortillas. By the time we finished ordering, we were all hungry. I was hoping Zapoteca would not disappoint. We received our orders in short…ummm…order. The waitress pointed out which salsas were which. The enchiladas looked pretty standard. The queso was very interesting and I couldn’t imagine it wasn’t delicious. Everything looked great, but the real test was about to take place. Was the food going to meet our expectations or were we going to leave disappointed as we did last time? I looked for the perfect chip to dip in the salsa. I found a curved one that looked like it was born to hold copious amounts of salsa. It was shaped like a mouth and appeared as though it had been sprinkled with a little bit of Mexican love. It motioned to me. I introduced myself. “My name is Peterpeterportlandeater. Welcome to my mouth. You shall now meet your doom.” I dipped the chip in the nine chili salsa, choo-choo-trained it into my mouth, and…Bang! With little resistance from the chip, I was in chip and salsa heaven. The nine chili salsa was exquisite. A pureed salsa, the “niner” was equal parts sweet and spicy – the greatest flavor combination in existence. It had great pepper flavor, some heat, and was smooth on the way down. Next, I tried the cashew smoked jalapeno. It was garnished with whole cashews. This one was again pureed, but a bit more sweet than spicy. The cashews stood out with the jalapenos as a lighter flavor. The roja was pretty typical with a mild spice and a garlic roasted tomato base. The salsas were outstanding and a definite improvement from our last visit. My wife and I worked on the enchiladas. The chicken in them was very flavorful and moist. The sauce was excellent and there was a decent amount of cheese. They came with a side of black beans. We all tried the queso in a tortilla. The mushrooms were a nice touch and the concoction definitely fulfilled my cheesy needs. Our friends then placed a late order for Jalepeno Rellenos De Queso. They came fried, breaded, and stuffed with lots of cheese and other assorted Mexican accoutrements. The jalapenos were huge. Though I thought the breading could have been more flavorful, the interior was well done. There was a ton of cheese which I love and the jalapenos were fresh. Overall, the meal – really a pre-dinner warm-up – was a huge redemption for Zapoteca. The so-so meal I remembered from there became a distant memory and I had a renewed sense of what Zapoteca was all about. The service was very good, the food was much improved, and the atmosphere was fun and inviting. I don’t remember the cost of the meal as my drink was pretty strong, but the whole experience definitely put this joint back on my personal food rotation. I’ll be back for sure. At the very least, I have to try the rest of their salsas. 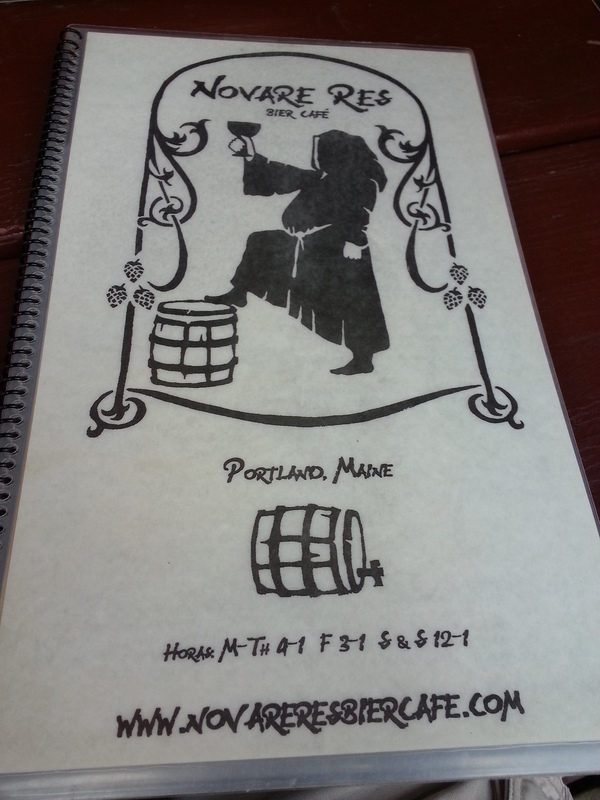 This entry was posted in Portland, ME food on August 9, 2013 by peterpeterportlandeater.